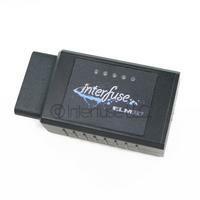 The ELM327 OBD2 Interface is a car diagnostic tool that is used to transmit data from OBD2 compliant vehicle to Laptop Computers, Desktop Computers, Android Smartphones, Android Tablets, iPhones and iPads. The technology that it provides with allow you to receive real-time information from the ECU (vehicles computer) and to Read and Clear Trouble Codes associated with the Check Engine Light. The car diagnostic tool can be used with most OBD2 compliant vehicles and interfaces are compatible for use with Windows XP, 7, 8, 10, OSX, iPhone, iPad and Android Smartphones and Tablets. Some software applications have nice graphics while others have robust logging for diagnostic purposes. These scanners can be used for professional or entertainment purposes. The ELM327 can be paired with a number of different devices including Laptop Computers, iPhones, iPad, Samsung Galaxy Smartphones and Tablets, Android Smartphones and Tablets as well as OSX computers. For the best experience we recommend pairing a Bluetooth ELM with a Samsung Galaxy Smartphone or Samsung Galaxy Tab that has the Torque App installed. Choosing the right interface doesn't have to be complicated, you just need to pick the right one for your situation. In order to simplify this process we have broken down your options (Bluetooth, Wifi or USB) in the following table which describes their compatibilities. The Bluetooth interface is compatible with the most Operating Systems however if you want to use it on iOS (iPhone or iPad) you will need to use a WiFi interface. For more information on selecting the right interface we suggest you read our detailed article about interfaces. Purchasing your diagnostic scanner from a trusted source is important. There are many sellers who know little to nothing about the device, sell low quality or defective units that don't work and even fail to even provide any setup instructions what-so-ever. With that said, it will save you a lot of time and possible hassle by getting one from a trust-worthy and knowledgeable seller. With that said, we can only recommend to buy one directly from our web store. The checkout process is quick and in most cases your item will be shipped in one business day or less. The Bluetooth elm is compatible with Android, Linux, MaxOSX and Windows. It is best suited for use with a Samsung Galaxy Smartphone or Tablet paired with the free or paid version of Torque. 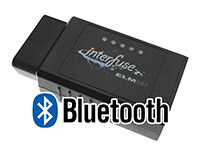 The Bluetooth interface is the most popular interface and can be paired from up to 30 feet away. The USB Elm is compatible for Linux, MacOSX and Windows. The best option for the USB adapter is to use it with ScanMaster-ELM and a Windows Laptop. ScanMaster-ELM will quickly identify the adapter and allow you to go live and read sensor data in a click. The cable reach for this version is about 4.5 feet. 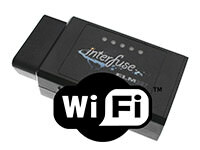 The Wifi elm is compatible for iOS, Linux, MacOSX and Windows. The only application that supports it on Windows in ScanMaster-ELM while the vest best option to use the Wifi ELM is with an iPhone or iPad with the DashCommand app. The signal reach is limited to about 5 feet. The software that is right for you is a personal choice however can make a few recommendations. For a more in-depth analysis of software applications reference our article on software. The initial setup of your device and connecting for the first time can be difficult for the inexperienced however after that it is smooth sailing. All of the possible pitfalls are detailed in this guide. Connecting for the first time should only take 5-10 minutes if you are following any of our quick start guides step by step. Some manuals such as USB and OSX are unavailable. If this is the case, read over the other manuals and use them as a general reference. The scanner is compatible with 99.9% of all vehicles that are produced after 1996 (per United States law and regulations) and will connect to all OBD2 CAN Bus Protocols including ISO15765-4 (CAN), ISO14230-4 (KWP2000), ISO9141-2, J1850 VPW, and J1850 PWM. Some foreign vehicles or imports may not be compatible. Please be sure to check that your vehicle has an OBD2 port. If you cannot find the OBD2 adapter plug check under the hood of the vehicle for a sticker noting that the vehicle is OBD-II compliant. Compatible makes include: BMW, Mazda, Chevy, Chrysler, Nissan, Ford, Honda, Fiat, Hyundai, Kia, Mitsubishi, Toyota, GM, Volkswagen, Audi, Mercedes Benz, Lexus, Subaru, Saturn, Porsche, Volvo, Saab and Pontiac. Bluetooth scanners use a pairing code to pair the device to your smartphone, tablet or laptop computer. Different manufacturers use different codes and some even change them from time to time. Most commonly the adapters will use '0000', '1234', '6789', '12345678' or something similar. If the seller you purchased from did not give you with this try the numbers we provided. If they don't work, email the seller for help, and if they aren't any help just return the unit and buy one out of our store. We're not going to skimp when it comes to supplying you this. WiFi adapters use a code to secure the connection between your smart phone, tablet or computer and your interface. If it asks you for a code, enter '12345678' or another combination that would be easy to remember. If you are unable to figure out the code, contact the vendor who sold you the unit. The Version Interpreters have gone through several updates over the past few years. In 2010 Chinese manufacturers upgraded from the v1.4 firmware interpreter to v1.5 which worked to provide a better overall experience for users. The new v1.5 units proved to be light-years ahead in terms of reliability, being able to connect and maintain connections without disruption. If you have a working version of the v1.4 scanner and you are not experiencing any trouble, there is likely no need to upgrade. Performance differences between v1.4 and v1.5 scanners and likely not noticeable, the bulk impact of the update was in terms of reliability. New diagnostic scanners manufactured in China are being released with v2.0 and v2.1 firmware. Any possible improvements with these scanners is currently un-known. The original processor chip did not implement copy protection and the code was copied by Chinese Manufacturers. These clone devices have taken the marketplace by storm and since their original implementation have grown to become more and more reliable while offering outstanding performance. The code and hardware within clone devices has been updated on several occasions in order to keep up with market demand. The clone devices continue to be the most popular and most affordable in the marketplace. The ELM327 can read the following realtime data sensors. OBD2 (OBDII or OBD-II) Error Codes can be used to troubleshoot problems with cars, trucks and other vehicles. These error codes are stored in the vehicles ECU (electronic control unit) and will help you to identify why a vehicles check engine light has illuminated. Knowing what COM-Port your device is connected to is important when using software that does not automatically detect it. You should only ever need to know the COM-Port if your are using Windows or OSX. In these operating system environments most software packages (ScanMaster being an exception) will require you to identify the correct COM Port. If you do not select the correct COM Port, the device will fail to connect. In Windows, you can find the COM number in the Device Manager control panel. The hardware can be found under the 'Ports (COM & LPT)' sub-menu. If you can't find it, unplug the device and plug it back in. You can watch for the hardware to show up in real-time. These are some of the most common problems with ELM327 interfaces and how to diagnose them. My scanner's power light is constantly flashing and I cannot connect to it by Bluetooth, what am I doing wrong? The case is most likely that the scanner you purchased is defective. It should be exchanged for a working unit. What is the difference between OBD2 and OBDII? None, there is no difference. My scanner is not pairing, what am I doing wrong? Assuming you have a Bluetooth scanner, you can request the pairing code from the vendor you purchased the scanner from. If it continues to refuse to pair and you have tried all of the default pairing codes '0000', '1234', '5678', etc. We suggest to return the scanner to the vendor and purchase from another seller. My scanner is not connecting to my iPhone, what should I do? Assuming you have purchased the Wifi model of the scanner (the Bluetooth model is not supported), you should consult the quick-setup guide that we have provided in this guide. If your scanner continues to refuse to connect, consult with the corresponding trouble-shooting points in the guide and if all else fails, return the scanner to whomever you purchased from and get a scanner from a reliable seller. My Wifi scanner is not broadcasting an SSID Signal, what's wrong? This is most likely the sign of a defective unit. Contact the person you purchased it from and ask them to exchange for a tested unit or just buy from a reliable seller. Can I update from v1.4 to v1.5 firmware? There is no way to apply this sort of update, you will need to purchase a new device. The interface is reporting that there is no response from the ecu, what do I do? This is likely a sign of a defective unit. To be sure, disconnect the scanner and plug it into another vehicle. If the vehicle is running and it continues to offer you trouble the part will likely need to be exchanged for a new unit. How do I change the COM-Port number assigned to the device? Go to the Device Manager control panel and locate the OBD2 Adapter under the 'Ports (COM & LPT)' sub menu. It may be titled 'USB Serial Port', if you can't locate it, unplug the adapter and plug it back in, you can watch it show up in real-time. Right click on the device and click 'Properties', click the 'Port Settings' tab and finally the click 'Advanced' button. Here you can change the COM-Port number, we suggest any COM Port between 2 and 5. Click 'Ok' to save your settings. I have paired a Bluetooth OBD2 Adapter to my computer but when I attempt to connect to the assigned COM-Port it will not connect to the interface. What do I do? We suggest reinstalling the device drivers. Here is a step by step walk-through: These instructions are written specifically from Windows 7, if you are using a different Windows Operating System, the steps you need to take should be similar. Find the COM & LPT menu and right click on the item titled 'Standard Serial over Bluetooth link' and select Uninstall. If there are two items, uninstall each of them. From the Bluetooth control panel, also remove the OBD-II adapter from there, right-click and remove the device. Start your vehicle, plug in the adapter and click to 'Add a Device' in the Bluetooth menu. It will come up and you can enter the pairing code. Let everything re-install from scratch, it might take a minute or two for the adapter to finally show up in the device manager under the COM & LPT menu. You can have that open during the entire installation to watch its progress. If the COM-Port was set 4 or similar before, it should install to the same COM-Port. We suggest using any COM 2-5. This can be changed from the properties menu. Open easy EasyOBD-II (this can be downloaded from our website) and connect to the COM-Port. The device at this point will begin to identify your scanner hardware and you are ready to 'Go Online' with your vehicle. If you changed the COM-Port during this process and EasyOBD-II is unable to connect to your diagnostic scanner, we suggest to conduct the reinstallation a second time starting from step one. Where shoud I buy my scanner? The scanners can be purchased from sellers Amazon, eBay, Sears, NewEgg and a few other select websites. Reliability of these scanners is hit and miss as they are generally sold by small business with as few as a single person managing all operations of the business. It is important to purchase high quality diagnostic tools from sellers who understand the product and can help you get it connected from start to finish. If the seller has little to no knowledge of the product, it is suggest to not purchase from them. The reliability of these scanners can be poor and instruction to get the scanner connected can be limited. To avoid these hassles, we recommend to purchase a scanner directly from us as these scanners are generally free from faults and defects. 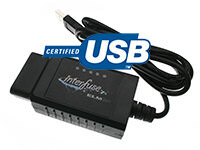 When using the diagnostic tools it is required that you take care if you are driving while this device is plugged in. If the OBD2 port is located near the gas and break pedals you should use extreme care and may require an extension cable to lift the tool up and away from your feet. As well, you should always keep your eyes on the road and take care not to be distracted by the data streaming to your smartphone or laptop. This should be viewed only by passangers in the vehicle. Always practice safe driving habits! The ELM327 is a great tool for diagnostics on any OBD2 compliant vehicle and makes a great replacement to other tools that might cost you thousands of dollars. Although it does not support programming of the vehicle, the apps that it can be paired and can read a litmus of gauges to provide you with real-time information which is streamed directly from the vehicles computer. We suggest any mechanic or car enthusiast to have one of these in their tool box. We strive to make the information provided in this guide as complete and accurate as possible. If you have any comments about this page, found it was useful, have information you would like to see added or any other suggestions we welcome your comments below. Please like and share the link to this page in forums or give it a +1 on Reddit. Android Smartphones and Tablets require a Bluetooth ELM. The WiFi adapter is not compatible. does this work on 2014 911 4S? See reference to 2010 cars and while mine is a 991 series car, just want to confirm it will work. Check under the hood of the car for a sticker, it will work if it says that the car is OBD2 compliant. All orders ship the same or next business day. In the event that they are back ordered, it might take 7-10 days for the elm to ship. For Windows I would suggest using a USB interface. The Bluetooth has complications with COM-Ports and the Wi-Fi is hardly compatible with any software. The copy of ScanMaster we have available on our website should quickly find your COM-Port and connect to the ELM painlessly. Its rather difficult to know which brands are knock offs and which aren't. Any chance you could add a paragraph concerning that? Thanks so much for this. Immensely helpful. I have the ELM 327 wireless unit, I did not recieve any software with it and have been searching for software for windows that is not going to cost me an arm & a leg. Dash Command for Windows is only about $40, the interface is pretty good. Nick, Thank you. I will give that a shot.